Design and modify electronic forms quickly without any programming. Ensure accurate and secure data collection. Accelerate and optimize business processes. Replace paper forms with easy-to-design web forms that can be published on intranets or public websites. Create and publish e-forms with an intuitive forms management system that requires no coding or scripting. Easily create attractive forms with preconfigured templates or customize them with editable fonts, colors, uploaded images and layout options. Drag and drop a wide variety of fields, checkboxes and radio buttons onto your form to collect the exact information you need, in the precise format you require. Change the look and feel of a form – or add and delete questions from it – at any time, without requiring programming assistance. Automatically pull data from primary applications to prepopulate forms, reducing the need to rekey or manually validate information. Designate required fields so forms won’t be submitted with incomplete fields or incorrect data types. Help ensure the security of confidential information by requiring user credentials from authorized staff to access submitted data. Maintain records of submitted information by automatically saving completed electronic forms in the Laserfiche repository. Ensure appropriate action is taken quickly with user-defined approval processes and task lists. Review and approve submitted forms from a tablet or smartphone, web browser or email. View reports of all submitted forms, pending and completed tasks and approval histories. 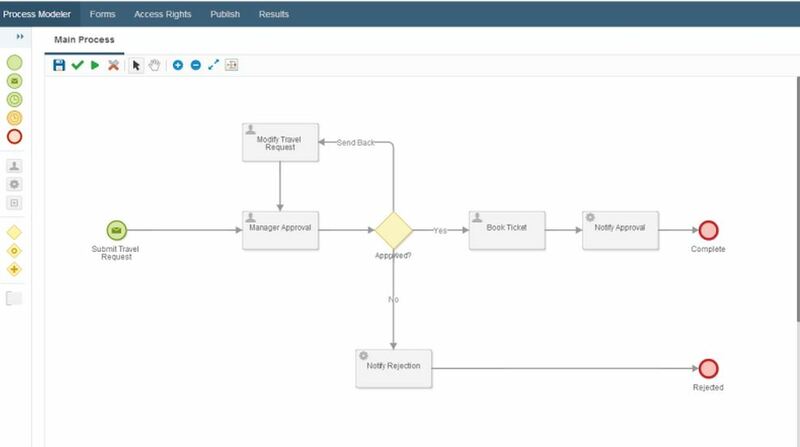 Enable authorized employees to create BPMN-compliant process models using drag-and-drop interaction. 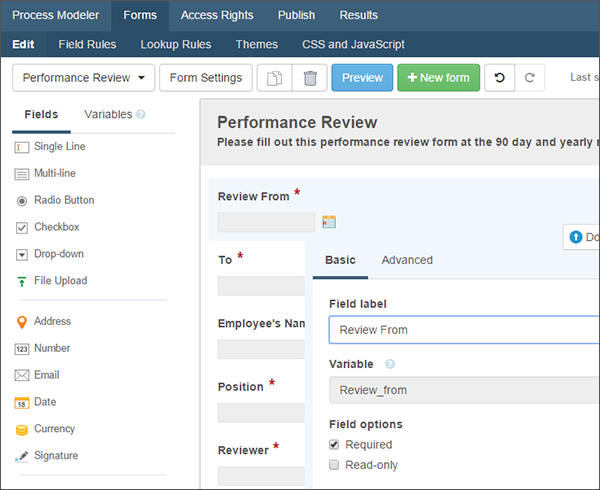 Kick off routing and approval workflows when web forms are submitted. Ensure tasks are completed on time with automatic notifications. Modify existing processes and add users without the need to install additional business process automation software. Enhance teamwork and collaboration with social business process management features including threaded discussions, Q&As and checklists. 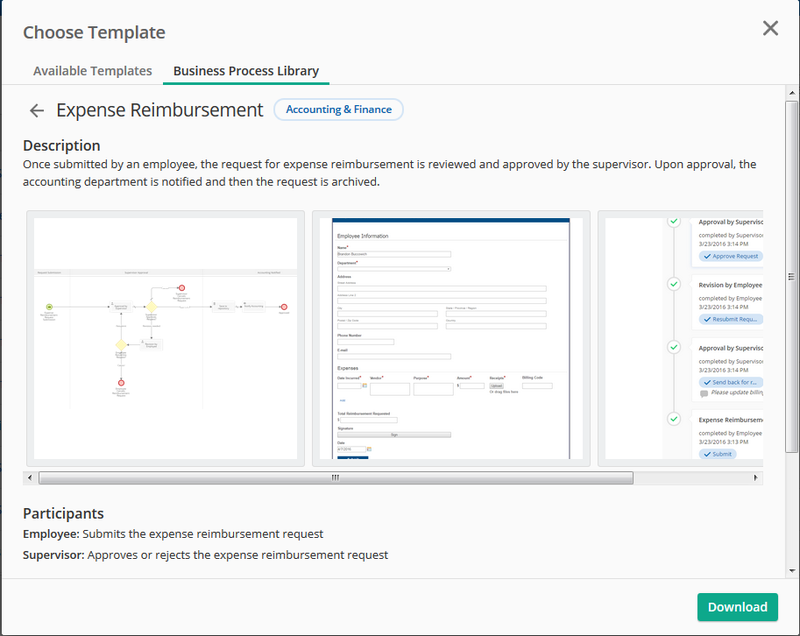 Download prebuilt process diagrams, forms, workflows, templates and fields for a variety of common business processes. Minimize initial development effort for common processes such as travel request, expense reimbursement and building maintenance request. Filter processes by industry or department. Easily modify process diagrams and forms to fit an organization’s specific requirements.